Skin redness or erythema as it is also known, is quite a common skin condition. Redness within the skin can be caused by a number of things such as Rosacea, Acne, allergic reactions, Dermatitis, Eczema, irritation of the skin or even simple blushing of the skin. If your skin appears red and you are unsure of the cause the best thing to do it to consult your GP to establish why redness is occurring in your skin. If like many people you suffer from blushing of the skin, you may be wondering why this occurs. Blushing is actually caused by the nervous system which is a network of nerves. These nerves are triggered by a fight or flight reflex within the body. For example when the body is in a dangerous or really stressful situation physical changes in the body occur. These changes are involuntary meaning that they occur without your control and are caused by a sudden strong emotion such as embarrassment. The nervous system then widens the blood vessels within the skin which increases the blood flow and produces that red colour that occurs when blushing. Embarrassment isn’t the only cause of redness in the skin though, certain medications, spicy foods, intense exercise, having a high temperature, being in hot or cold climates and drinking hot drinks can all trigger redness in the skin. If you suffer from redness and you are not sure what is causing the colour change within the skin we advise you have a chat with your GP who will be able to diagnose what is going on within your skin. 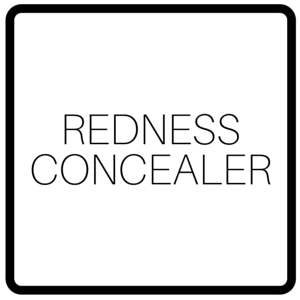 If you are suffering from blushing and you wish to conceal the area, Veil Cover Cream is a great Redness Concealer. Because the high coverage camouflage makeup product has full coverage pigmentation it is able to cover up the red blushing appearance making the area blend in with the skin’s natural tone. To apply we recommend building the product up in light layers to achieve the most natural looking and best possible application. Stretch Marks are very common lines which appear on the surface of the skin. Stretch Marks often begin as red or purple coloured streaks but over time they fade to a silvery white shade. They can appear anywhere on the body but Stretch Marks most commonly appear on the stomach, breasts, buttocks and the thighs. Medically the usually thin and long lines are known as Striae. What causes Stretch Marks? Well the streaks are causes when the middle layer of skin, known as the dermis, breaks in places which is the result of the skin suddenly stretching. By the dermis breaking in places, this allows the deeper layers of the skin to appear thus giving you stretch marks. The cause of the skin suddenly stretching could be due to pregnancy, growth spurts and weight gain. The majority of Stretch Marks do fade over time making them less noticeable. If you are unhappy with the appearance of your Stretch Marks there are a few different treatments to help. There are a number of gels, lotions, creams and surgeries available but medically there isn’t a lot of evidence to support their effectiveness or prove that they work. Treatments like surgery can also be very costly and for many people, the surgeries available are simply out of budget. If you wish to temporarily get rid of your Stretch Marks, Veil Cover Cream is an effective Stretch Mark Concealer which can conceal the coloured red and purple appearance of the marks. 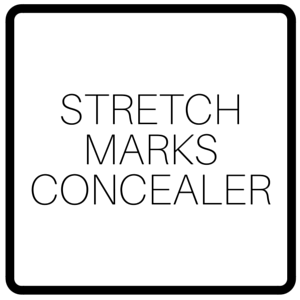 The creamy concealer is economical in use as only a small amount is needed for concealing making Veil Cover Cream a cost effective option for covering up Stretch Marks. Veil Cover Cream comes in over 40 different shades to match a variety of skin tones and is available to purchase worldwide. Melasma is a skin condition which causes greyish or brown coloured pigmentation patches in the skin. The condition commonly occurs on the face with the chin, cheeks, nose, forehead and upper lip most commonly being affected. Malasma is also known by the name Chloasma. The condition can affect any gender or race but it is most common in with those with darker skin, those who live in sunny climates and in women. The condition is not contagious nor is it an allergy or a infection. The cause of the skin condition is currently unknown but it is thought that pregnancy, the contraceptive pill and other hormone treatments can bring on Melasma. The condition can also run in families and can be triggered by the stress. The use of sun beds and exposing the skin to sun can both worsen the condition by making the patches appear darker. If you think you may have the condition be sure to get in touch with your GP as he/she will be able to look at your skin, diagnose the condition and provide you with further advice, help and support. There currently is no cure for Melasma however, quite often the condition does clear up on its own. If you do have Melasma and you wish you cover it up, Veil Cover Cream is a fantastic Melasma Concealer. The product has a highly pigmented, easy to blend formula meaning that only a small amount of cream is needed to cover up the brown/greyish patches which come along with the condition. Veil Cover Cream is currently available in over 40 shades meaning there is a shade for almost every skin tone. All Veil Cover Cream shades can also be blended and mixed together and the product is available to purchase here on our website. Xanthelasma is a skin condition where yellow coloured plaques appear on the skin. Usually the yellow plaques appear around the eye area and on the upper and lower eyelids. These yellow plaques that occur are actually deposits of fat underneath the skin. Xanthelasma is harmless and painless but the appearance of the condition can cause confidence problems for those who have the condition. Xanthelasma is said to be caused by having high cholesterol. The condition most commonly appears in those from the Mediterranean region and in those who are of Asian origin. If you think you may have the condition we recommend consulting your general practitioner who will be able to advise you on your skin and treatments that are available to you as well as offering you support. There are a number of treatments available for those with Xanthelasma. There are surgical, lazer and cryotheraphy procedures available to remove the yellow plaques but because the condition usually appears close to the eye area, there is a high risk of scarring occurring. Because of the risk many people with Xanthelasma use makeup to conceal the yellow appearance to improve their confidence. Veil Cover Cream, a high coverage Xanthelasma Concealer that can cover up the appearance of the condition due to its high coverage formula. Those with Xanthelasma may also benefit from using the Veil Cover Cream shade Mauve as the purple tone can help to counteract the Yellow shade in the skin giving a better cover. It is also good to keep in mind that Xanthelasma is a skin condition that can be more difficult to cover in comparison to other skin conditions. This means that if you are covering Xanthelasma you may wish to practice application to ensure that you achieve the satisfactory result that you are after. Hypopigmentation is the loss of the colour within the skin. This can be caused by a reduced number of melanocytes, these are the cells which produce melanin in the skin. Melanin is what gives the skin pigment. Hypo-Pigmentation can also be caused by a decrease in amino acid which is used by melanocytes to create melanin, the skin’s pigment colour. When the skin loses its colour white patches form. This is most noticeable on those with darker skin. There are a number of different Hypo-Pigmentation conditions such Vitiligo and Albinism. Treatment for Hypo-Pigmentation skin conditions varies from condition to condition but one of the most popular treatments is skin camouflage. Skin camouflage is basically the application of products that are highly pigmented and allow the person with Hypo-Pigmentation to easily cover and conceal their white patches. Although the application of high coverage products isn’t necessary, many wearers use these products to gain confidence to allow them to get on with their day to day life. The process of using skin camouflage products is pain free with a little practice can be very quick to apply. Our Hypo-Pigmentation Concealer Veil Cover Cream is a creamy product that is available in over 40 different shades to match a wide variety of different skin tones and complexions. Our product provides the skin with fantastic coverage as well as impressive lasting power to make sure your cover up stays in place throughout the day. Veil Cover Cream is also waterproof meaning that swimming and getting caught in the rain certainly aren’t off limits. Our product is available to purchase worldwide through our website and our international distributors sites. Age Spots are black, brown or grey colour spots that occur in the skin. Age Spots are flat and are usually found on areas of the skin that have been exposed to the sun such as the hands, face, forearms and the upper back. Age Spots are also known as solar lentigines, sun spots, senile lentigo or liver spots. So what causes Age Spots? Age Spots are causes by an excess production of melanin, the pigment in the skin. The exact cause of this isn’t currently known but ageing of the skin, sun exposure and use of UV light tanning beds are all said to be possible causes. Age Spots are painless and have the same texture as the rest of your skin, they just appear visually different. Despite the name the spots can occur at any age, in any gender or race however, if you have fair skin, you frequently use tanning beds, you’re over 40 years of age or you like to sit out in the sun a lot, you are more at risk of developing Age Spots. Age Spots are harmless and can be diagnosed by your GP. Many people find that they simply do not like the look of their Age Spots. There are a number of treatments available to permanently remove Age Spots such as: Laser removal, a treatment which destroys the cells that produce melanin. Dermabrasion, a treatment which sands off the outer layers of the skin causing new skin to grow. Chemical peels, treatments which burn the outer layers of skin causing new skin to grow. And Cryosurgery, a treatment which uses liquid nitrogen to freeze the spots. If you are looking to instantly or temporarily hide your age spots by using a pain free and easy technique, Veil Cover Cream, a high coverage age spots concealer is the ideal option. The full coverage makeup product can hide the dark coloured spots almost instantly thanks to its highly pigmented formula. Psoriasis is a skin condition. It causes flaky red patches of skin. The condition is commonly spotted on the knees, elbows, scalp and lower back. The condition can occur in both men and women but it usually tends to develop in adults under 35 years of age, although it can occur at any age. Some people who have Psoriasis experience small patches whereas others experience much larger patches which can cause major irritation. Psoriasis occurs when the skin cells replace quicker than average. Usually the skin cells replace every three to four weeks but for those with Psoriasis their skin cells can replace in three to seven days. The result of this? A build up of skin cells creating patches. Why this happens isn’t fully understood but the condition has been linked to problems with the immune system. Unfortunately there is no cure for Psoriasis but there are various treatments available to help improve the skin. There are a number of topical corticosteroids (ointments, creams and gels designed to reduce inflammation, swelling and redness in the skin) available as well as other topical treatments to apply onto the skin. There is also ultraviolet light treatments available and for those with more severe cases of Psoriasis there are oral medications and injections available. If you think you may be suffering from the condition we recommend speaking to your GP. Your GP will be able to advise you on whether or not you have the condition and what treatment is best for your specific case. Psoriasis can be a very confidence damaging condition due to its red appearance. Our Psoriasis Concealer Veil Cover Cream can help with this. Veil Cover Cream will not alter the texture of Psoriasis but it will change the red appearance. 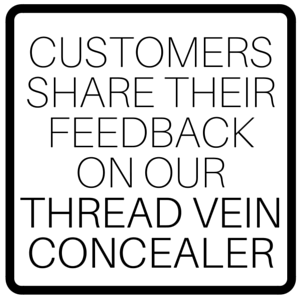 Before applying Veil Cover Cream to the area we recommend carrying out a small patch test to ensure that the product is suitable for your skin and we recommend never applying the high coverage concealer to broken skin. What Are Dark Circles and What Causes Dark Them? Dark circles are very common. Many women and men at some point in their lives experience dark circles or Periorbital dark circles as they’re medically known. Many people believe that these dark blemishes around the eyes are caused purely by lack of sleep and being tired. While being fatigued can cause dark circles, there are other causes too. Some dark circles can be hereditary which are inherited via a parent and can occur even in children. Some dark circles can actually be causes by oversleeping while other dark circles can be caused by things such as allergies, stress, eczema, age, sun exposure, an iron deficiency, excessive drinking or smoking, fluid retention and even having a salty diet. In most cases the dark circles in which you see are actually the blood vessels in the skin. Because of this those with thin and pale skin are most likely to experience really visible dark circles. How Can I Hide My Dark Circles? A lot of people who have dark circles may understandably feel self conscious about the appearance of the blemishes. 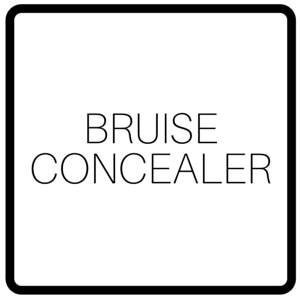 If you suffer from prominent under eye discolouration and you’ve tried a lot of high street concealers you may feel as though these products do not cover all that well. 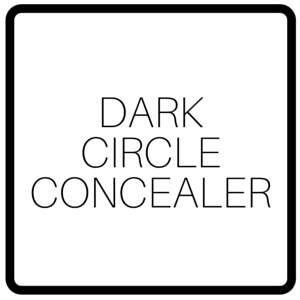 Thankfully we have a high coverage dark circle concealer which can conceal and hide circles with ease. Because of Veil Cover Cream’s high pigment content, skin blemishes can be concealed easier and by using less product in comparison to those products available on the highstreet or in the drugstore. Because dark circles are caused by the blood vessels, often they can appear very blue or purple in colour. For this you can also use a small amount of the shade “Yellow” which counteracts these shades giving an even better covered up finish.